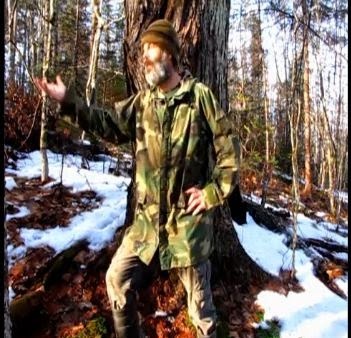 In this video Biologist Michael Merchant discuses the topic: Does Bigfoot Hibernate? Where do they go in the winter? While we're not aware of any primates that hibernate, Bigfoot sure seem to be harder to track in the wintertime, when in all reality it should be the opposite. Giant footprints in the snow should be easy to find and track but for some reason they aren't. One of the reasons is that perhaps less people are out in the woods in winter. Another reason could be that they hunker down more in winter in very remote and hard to access areas. What do you think? Isn't it also possible that the steep drop off in sighting reports during the winter is the result of the the steep decline in human activity in Sasquatch habitat during that time? It always around 3-4am in the morning when we hear their "Whoops" in Northeast Oklahoma between Thanksgiving and February. We usually build a fire and sit outside until about 5am. Could you record their "whoops" and put it on YouTube?? Check out "The longest audio of Bigfoot ever recorded", on YouTube. Does yours sound like that? Eerie!! !